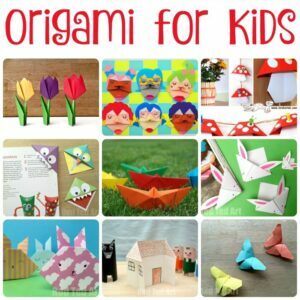 Our love affair with Paper Crafts, as well as Easy Origami for Kids continues. Yes, paper never ceases to astound me, in it’s versatility! 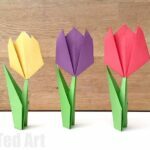 There really are endless paper crafts for kids that you can make! 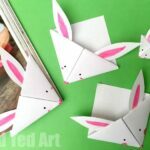 Today, we share a super duper cute Mini Photo Accordion Book – origami photo album. 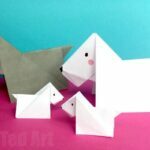 It is based on a super simple Origami Photo Frame, that we have made a few times here on Red Ted Art, but that has one additional (slightly!) 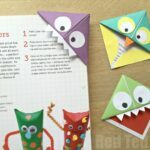 trickier step, in order to turn them into these darling little paper photo albums. 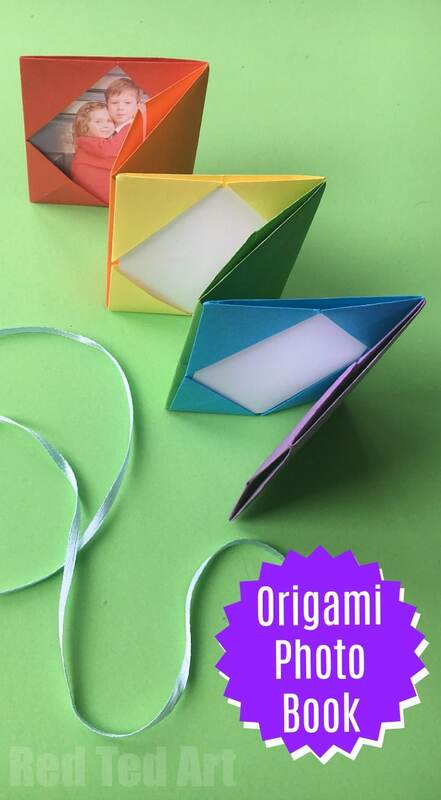 I love that you can make this origami folding photo album out of plain paper, pretty paper, colourful paper.. any which way you want. Make it plain and decorate. Personalise. Turn it into a friendship photo album or a mother’s day photo album. The handy little size, makes it perfect for fitting in a handbag or purse. Oh how cute these mini photo books are! Per accordion page you need 2 square pieces of paper – we used origami paper which is approximately 15x15cm wide. 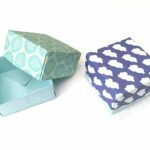 But you can also cut down A4 paper and create 2 square piece per sheet. 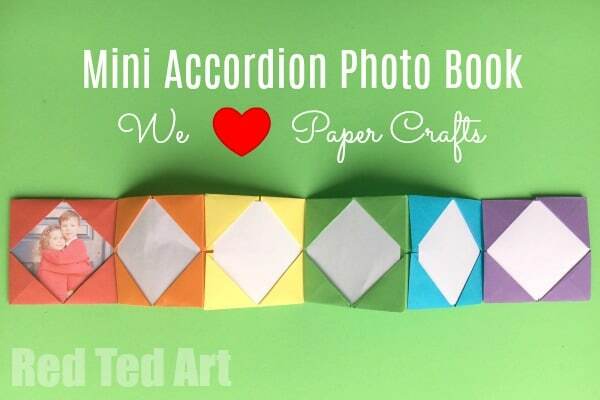 These Mini Accordion Photo Albums and be as LONG as you wish. We chose six pages. 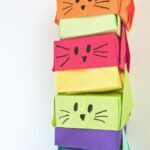 So used 6 rainbow coloured origami sheets. You **may** choose to use a little pritt stick. 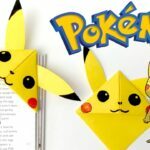 As with most origami for kids, I do find it easier to share the origami how to in video format! I hope you agree and that you find the following video tutorial useful! What do you think? Aren’t these paper photo albums simply the cutest? I love how fun they are to make. They would be a great little origami summer project – create a mini photo album with your favourite summer snaps. Or maybe make a cute mini accordion photo album with photos of your best friends? Suitable for mother’s day too! I think these mini paper photo albums are super cute and fun to make. Or tuck the ends in as shown in the video!! Happy Paper Photo Book making! 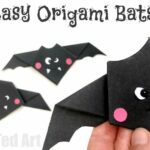 And of course LOTS more Paper Crafts here – from newspaper crafts, to origami, to card making and seasonal paper crafts!!! Lots to choose and browse. This is so cute! Lovely idea for kids! What size photos fit in the slots? It depends on the size of your photo album? Best to make it and measure it! 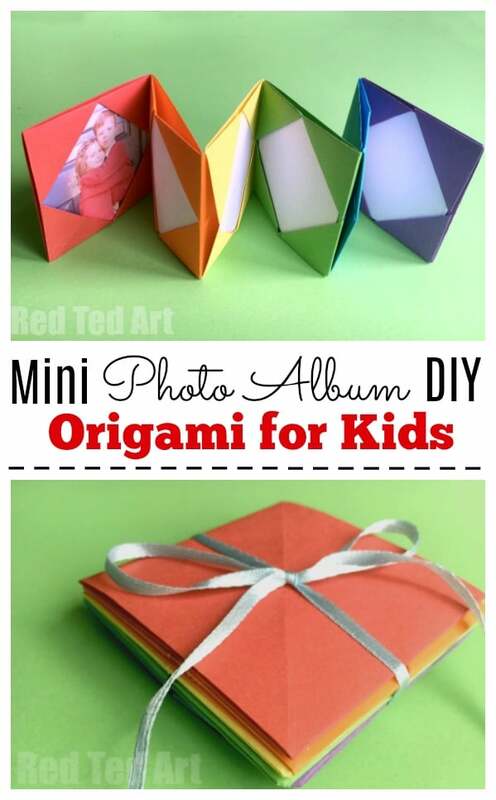 Origami photo album is a great idea for gifting. 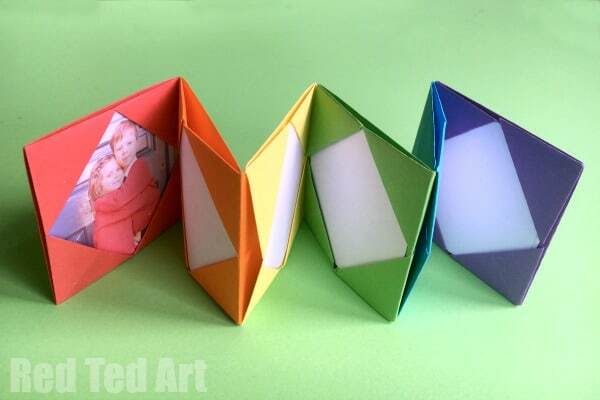 you can also give them different shapes and put more pictures in it. The emotion and love which you put in its everything. The person you give it as a gift will be really very happy after seeing this.